경상좌도의 병마절도사가 머물던 성으로, 조선 태종 17년(1417)에 쌓은 해발 45m 이하의 낮은 구릉을 이용해 골짜기를 두른 타원형의 성이다. 초기에는 성벽 위에서 담처럼 생겨 몸을 숨긴 채 총이나 활을 쏘는 시설인 여장을 비롯한 기본적인 시설만 갖추었다. 그 후 세종 때에 이르러 국방력 강화를 위해 성을 보호하고 공격력을 강화시키기 위해 옹성·적대·해자 등 여러 방어시설을 설치했다. 『동국여지승람』에 따르면 당시 성의 둘레는 3,723척(약 1.2㎞)이고, 높이는 12척(약 3.7m)이며, 성 안에는 우물·도랑·창고 등이 있었다고 한다. 조선시대 경상좌도 병마절도사의 영성(營城)이며, 조선시대 성곽연구에 중요한 유적이다. It is the fortress where the military governor of Gyeongsangjwa-do used to stay; built in 1417, the 17th year of the reign of King Taejong in Joseon Dynasty, it was an elliptical one surrounding a valley by using a low hill less than 45m above sea level. 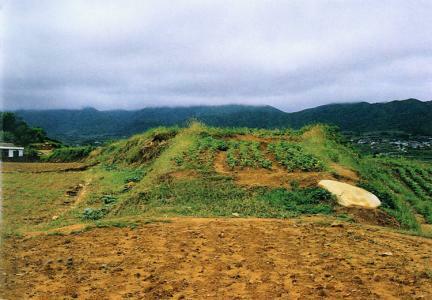 In the early stage, basic facilities like Yeojang on the fortress wall, similar to a fence, were designed for shooting guns or arrows. Barbican, gate guard platform, moat, etc., were installed during the reign of the Great King Sejong, serving as facilities for protecting the fortress and reinforcing offense to strengthen national defense. 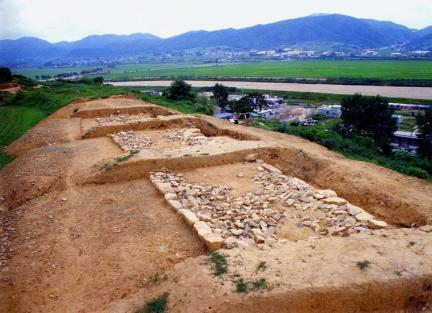 According to Dongguk yeoji seungnam (Augmented Survey of the Geography of Korea), the fortress was 3,723 cheok (about 1.2㎞) long and 12 cheok (about 3.7m) high at that time; within the fortress were a well, a ditch, a warehouse, etc. It is a typical style of fortress in Joseon and the best remains for researching on fortresses in Joseon.